As a horror fan, I often feel as though I’ve already seen everything the genre has to offer. The most effective way to dispel that illusion is a to head over to a well-stocked video store and peruse the Horror shelves. Netflix and OnDemand may be taking over the rental business, but they still can’t duplicate the joy of sifting through hundreds of films I’ve never heard of, let alone seen, the cover art of which is often more entertaining than the films being advertised. To pay tribute to this activity, I decided to head over to a local video store in Brooklyn and see what oddball treasures I could dig up. However, as you might expect, actually finding a video store to search through wasn’t easy. Most of the places I found via Google either had already gone out of business, didn’t have a big or eclectic enough selection for the purposes of this article, or were too exclusively “adult”-oriented to have much in the way of horror. (In retrospect, I should have realized that a 24-hour joint called “Video Xcitement” was not exactly what I was looking for.) But just when I was about to give up hope, I came upon Reel Life South. 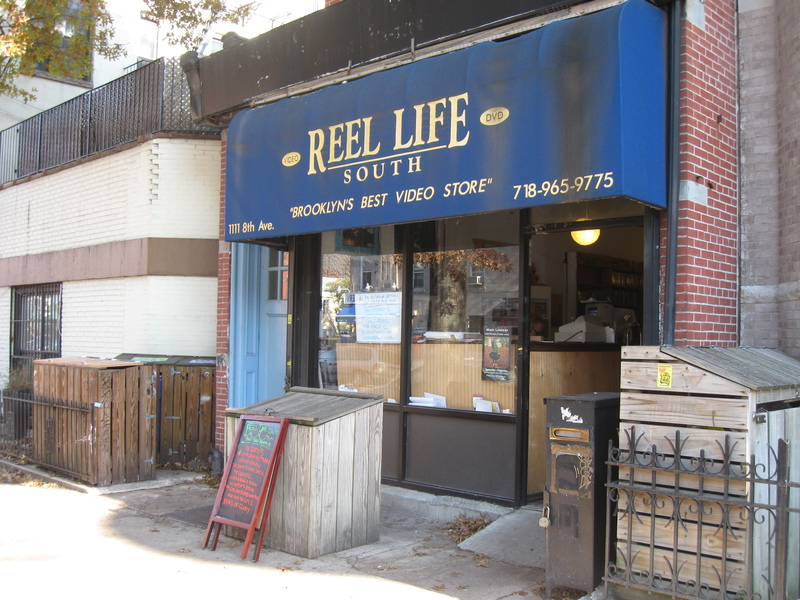 Located near the western end of Prospect Park, Reel Life South has the two elements every great independent video store needs: A huge and varied selection (including, in RLS’s case, plenty of VHS titles), and a friendly clerk well-versed in the work of Lucio Fulci. I don’t think I could have asked for a better place to go hunting for weird old fright flicks, so thank you, Reel Life South, for existing. 10. PLEASE DON’T EAT MY MOTHER! 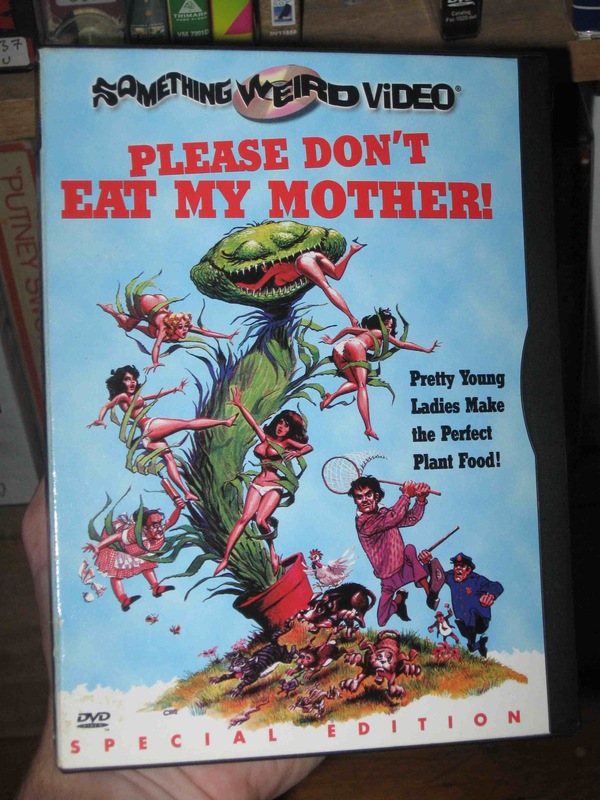 Tagline: Pretty Young Ladies Make the Perfect Plant Food! 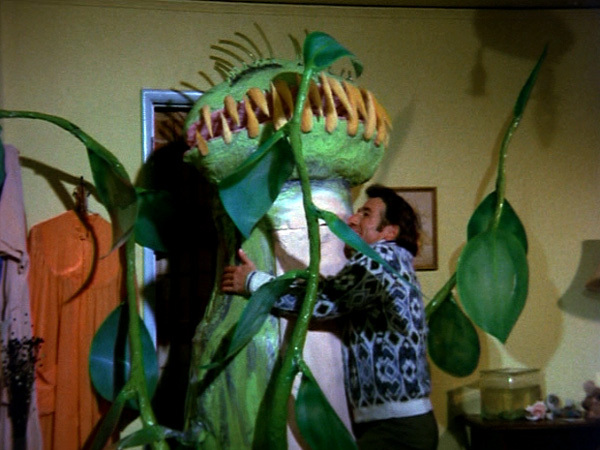 The original Little Shop of Horrors was shot in two days for $30,000, and apparently it still managed to spawn an even cheaper-looking imitation. It’s the demon-hand shadow covering the woman’s breasts that really makes this one. Very tasteful. You know, there’s a reason people generally don’t use tarantulas as pasties. Tagline: To destroy the Monster, was to destroy the one she loved!! Could She? Could you? From what little I know of Spanish filmmaker Paul Naschy, this is pretty standard material for him. 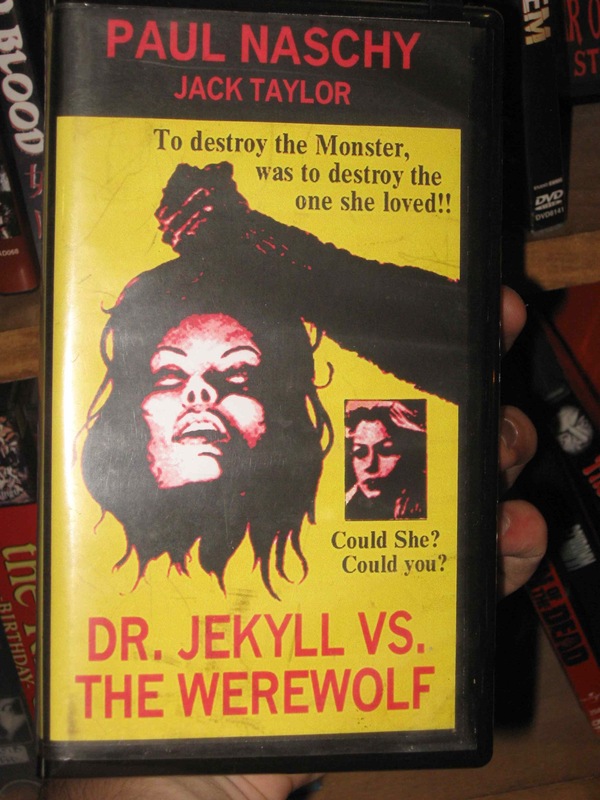 I have to say, though, doesn’t Dr. Jekyll have enough on his plate without having werewolves to deal with? Tagline: It’s not the fear that will tear you apart. It’s him. 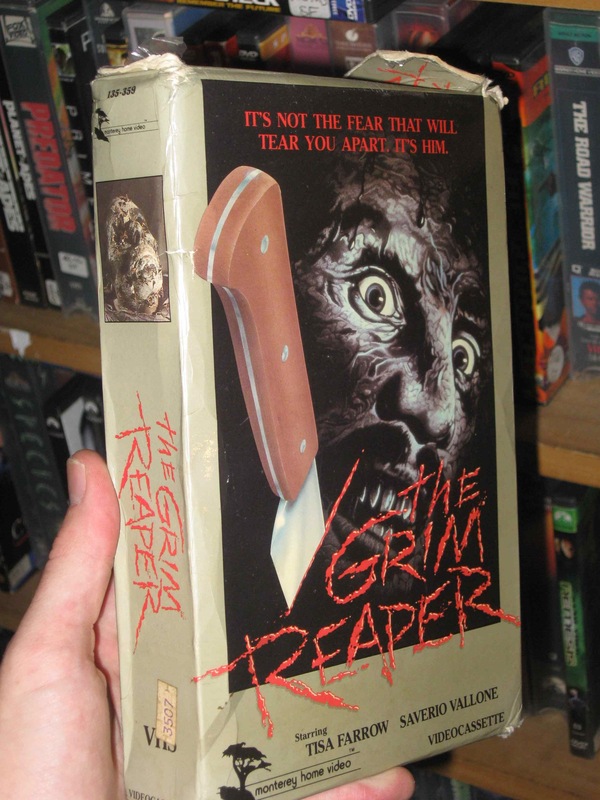 There’s nothing particularly weird about this movie in and and of itself, but I wanted at least one example illustrating the bizarre VHS-era trend of packaging seemingly random movies in needlessly oversized boxes. To be honest, I had heard of Death Bed before my trip to Reel Life South, but it was too good not to include. Patton Oswalt has a great bit about this movie, so I’ll leave the jokes to him. 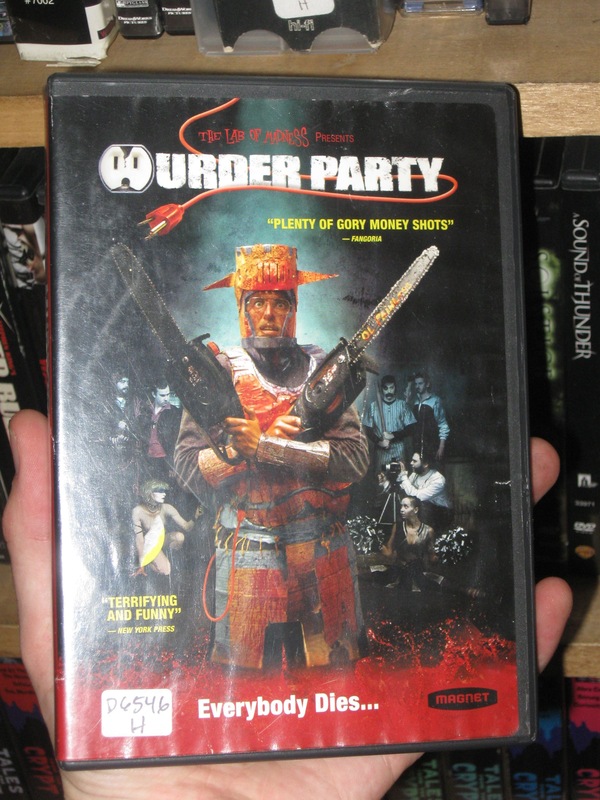 No Cult Horror section would be complete without at least one video sleeve that makes you feel dirty just from looking at it. Ugh. The Mushroom People may be horrifying, but, to be fair, they’re also a great source of dietary fiber and protein. Tagline: …When renting is not enough!! Finally, postmodern direct-to-video horror cover art. Could this happen at my video store? In fact, it couldn’t happen anywhere else. Keep on truckin’, Reel Life! This entry was posted in Movies and tagged horror movies. Bookmark the permalink.